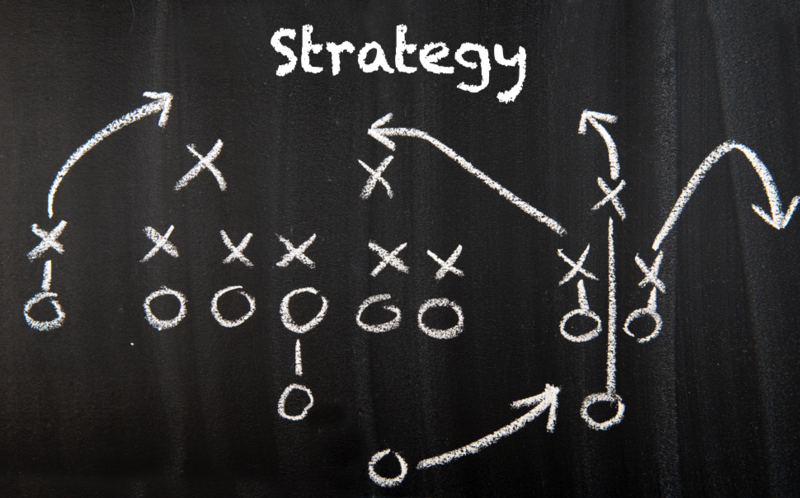 Whether it’s business, sports, or nearly any other arena, strategy wins. Several long-term studies of bankrupt companies (10 years and 25 years respectively) have shown that the number one cause of business failure–losing in business–is bad strategy. New England coach Bill Belichick’s sixth title reinforced that strategy wins in sports too. I define strategy as the intelligent allocation of resources through a unique system of activity to achieve one’s goal. In a football game, the resources available to a coach are people, time, and distance. In both the AFC Championship game and the Super Bowl, Belichick ran plays and used formations that allowed the Patriots to control the time of possession, keeping the other teams’ prolific quarterbacks (Kansas City Chief’s Patrick Mahomes and Ram’s Jared Goff) off the field. While the Patriot’s emphasized passing the football early in the year, they evolved to make the running game much more prominent toward the end of the season, enabling them to soak up more time with the ball. From a people perspective, quarterback Tom Brady is most commonly mentioned as the catalyst, but Belichick’s strategic thinking can be found in other more nuanced areas. While the punter may be the most overlooked person on the team, Belichick put strategic thought into that selection long before it became dramatically important in a tight, low-scoring game. New England’s coach prefers to play a left-footed punter, in this case Ryan Allen, because the football coming off of a lefty’s foot spins in the opposite direction than the kick returner is used to. In other words, it’s different than the norm. As we know in business, the heart of good strategy involves differentiation–in the form of activities, products, experiences, etc.–from the competition. Another strategic move Belichick employs to prepare his players prior to games is signing players to the practice squad that have nearly the identical height, weight, and speed of his future opponent’s star player. By bringing in clones of opponent players, the Patriot’s team can get a much more realistic understanding of how to prepare for and stop them in the game. 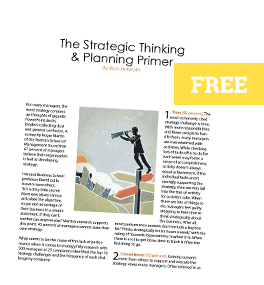 From a business perspective, going through strategy workshops that utilize competitor products and experiences can create a greater sense of urgency and understanding for a management team in thinking through ways to neutralize a competitor’s advantages. Finally, the Patriots typically don’t have the most talented or highest paid players, yet they maximize their abilities because Belichick puts them in positions in which they can be successful. While Tom Brady is now considered the G.O.A.T. (greatest of all time) at his position, he wasn’t considered by most general managers and teams to be very good coming out of college (drafted 199th overall in the sixth round). Same with wide receiver Julian Edelman, a 5-foot 10-inch quarterback out of Kent State who won this year’s Super Bowl Most Valuable Player award, drafted 232 overall in the seventh round. Belichick studied film on Edelman and saw potential places on the team that others hadn’t considered. As a business leader, one of the differentiators between the best and the also-rans is the ability to put your people in positions where they have a greater opportunity of succeeding. Are you maximizing your resources, or putting them in the same place year-in and year-out, hoping for a Hail Mary pass touchdown? Consider this question for a moment: Are you the Bill Belichick in your market? Or is someone else using their resources–time, talent, and money–to outperform you? In today’s hyper competitive business environment, be strategic…or be gone.